Rite Rate is the most reliable and affordable plumbing, air conditioning, and heating company in Wanaque, NJ. We guarantee 100% customer service on every project. At Rite Rate, we offer plumbing, heating, and cooling repairs, replacements, and installations for your home or business. We’re widely known for our 24/7 emergency plumbing, air conditioning, and heating repair in Wanaque, NJ. This is due to our immediate response time no matter what the time or day is! At Rite Rate, we specialize in commercial and residential heating repair, replacement, and installation services. Our technicians are experienced with all makes and models and will happily recommend the right one for your home or business and your budget. We’ll then install it quickly and efficiently. Is your boiler or furnace not working? Call us for affordable heating repair in Wanaque, NJ! We’re here 24/7 in case your heater stops working and needs to be fixed. If your heater is beyond repair, our technicians can replace the necessary parts or replace the boiler and furnace. As a professional plumber, Rite Rate prides itself on offering pocket-friendly plumbing installations, replacements, and repairs. Our plumbing services include toilets, showers, sinks, faucets, and any other plumbing fixture. There’s not a clogged toilet or dirty drain that we can’t handle. In addition to repairs, installations, and replacements, we also do sewer and drain cleaning! Don’t hesitate to call our air conditioning company in Wanaque, NJ. We have services to cover a wide range of commercial and residential air conditioners. 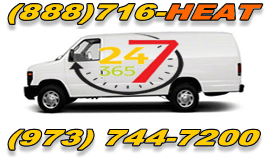 Call us anytime for 24/7 emergency air conditioning repair. We’ll respond immediately and get your air conditioner working efficiently once more. Rite Rate also offers affordable air conditioning installation in which we help you choose an AC for your budget and install it in your home or business. For a dedicated plumbing, air conditioning, and heating company in Wanaque, NJ, call Rite Rate Heating & Cooling!